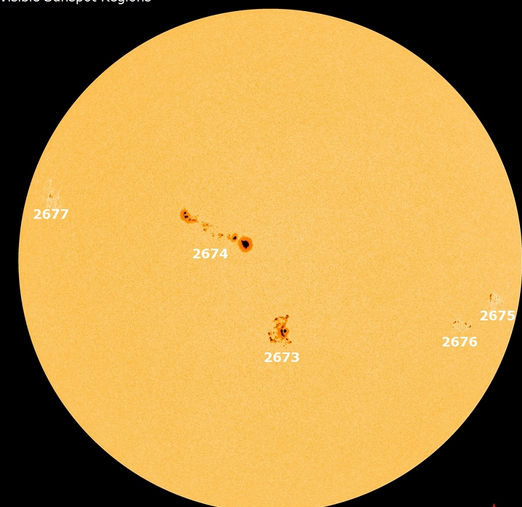 Sunspot AR2674 has a "beta-gamma" magnetic field that harbors energy for M-class solar flares. The sunspot 2674 has taken a center position on the sun, as can be seen in image curtsey of SDO/HMI. 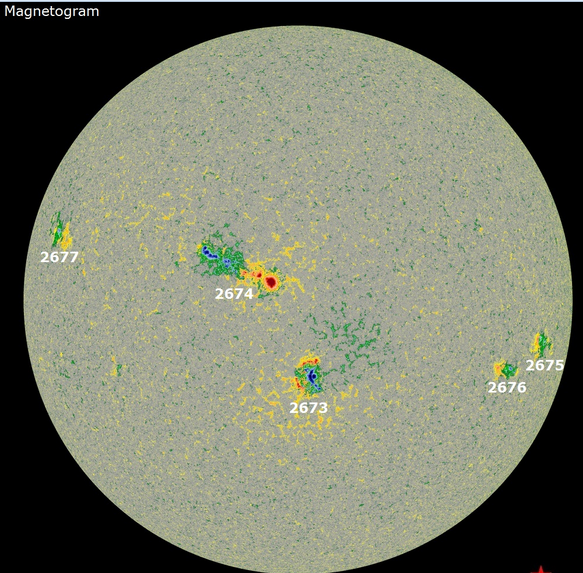 New regions 2676 and 2677 have emerged increasing the daily solar flux to high levels. flare, particularly coming from the Catania group 47 (NOAA region 2674). return to nominal levels by September 4.